Over the past week, Lockheed Martin and Vector announced software-defined satellites. Being able to reconfigure satellites for different tasks by simply uploading a new app and starting a new process on a server is a relatively new concept for the space industry, even in the “New Space” arena of startups. Lockheed Martin’s SmartSat technology is being applied to ten programs so far, including the Linus and Pony Express nanosats expected to be ready to launch by the end of the year. The satellites, built on the LM 50 nanosat buses built by Terran Orbital, are described by the company as “rapid-prototype, testbed satellites” using internal reach and development funds. The Linus mission will be composed of two 12U cubesats validating SmartSat capabilities and 3D-printed spacecraft components. Pony Express has multiple 6U satellites and will qualify “state-of-the-art” network technology. The first satellite, Pony Express 1, will be a pathfinder for a software-defined payload to test cloud computing infrastructure. Follow-on Pony Express missions will prove RF-enabled swarming formations and space-to-space networking. Cyber security is at the core of the SmartSat technology. Satellites using it can reset themselves faster, diagnose issues with greater precision and back each other up when needed, as well as better detect and defined against cyber threats autonomously. SmartSat uses a hypervisor to securely containerize virtual machines, taking advantage of multi-core processing new to the satellite world. The hardware platform uses a radiation-hardened computer developed by the National Science Foundation’s Center for Space, High-performance, and Resilient Computing, or SHREC, that appears to be based around ARM with some other silicon blended to provide resilience. Less is known about Vector’s GalacticSky platform. The GSky-1 satellite is expected to be ready for launch later this year and will be carried into orbit on one of Vector’s first launches. The GalacticSky effort is lead by former VMWare and Citrix executives and will support applications running on a single satellite or across an ad-hoc cluster of satellites within the GalacticSky constellation. The GalacticSky satellites use a Citrix virtualization hypervisor along with a customized GalacticOS set of software services. Available operating systems available for virtual machines include Windows 7 through 10 and various versions of Debian and Ubuntu Linux; GPU support is optional. Expected lifetime of the first 3U-sized satellite is expected to be “several years” and it will carry technology payloads for NASA and the Air Force Research Laboratory, including a precision timing board, dosimeters, a 6-axis MEMS processor, and 3-D printed radiation shielding. 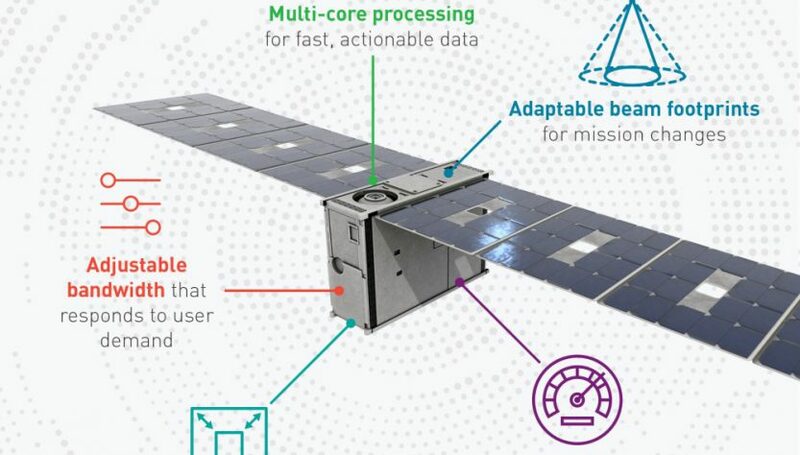 The concept of software-defined satellites is already being tested in orbit by others. Many New Space companies are incorporating software-defined radios (SDRs) than can be reconfigured on the fly to scan and communicate on different frequencies for RF monitoring and data transmission.